Up until a couple of years ago. I would complete all of my Black Friday shopping in-store. I remember my first Black Friday experience as if it was yesterday. My aunt would go Black Friday shopping every year. She extended the offer to my sister and I. This took place back in 2004. I remember not getting any sleep, due to being super excited and leaving out of the house around 3 or 4 am. This was back prior to stores opening on Thanksgiving Day, and offering sales online as well. Fast forward to now. I do most of my Black Friday shopping for the comfort of my bed. This has come from trial and error, and I've learned something new each year. To improve my shopping experience. 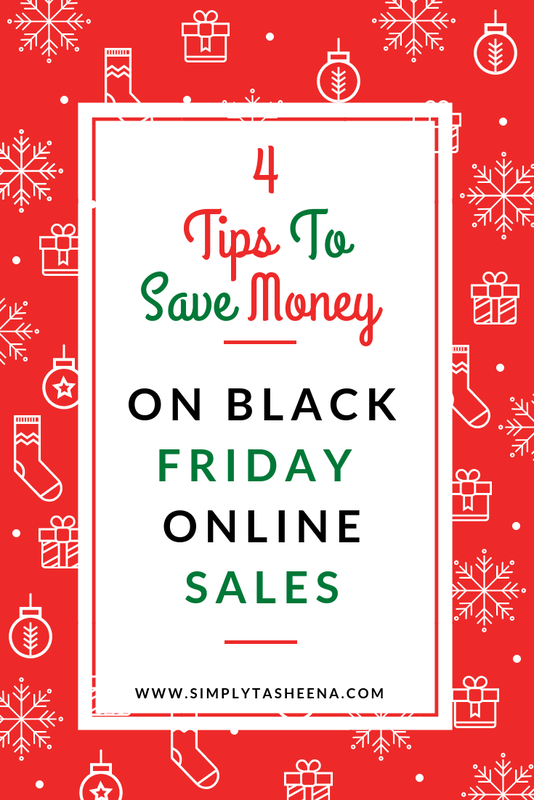 Below I'm sharing my four favorite tips to save money on Black Friday sales online. I always try to stress the importance of signing up for your favorite store Newsletter. A lot of times stores will send exclusive offers and VIP access to email subscribers. This is perfect, especially around Black Friday. I received a ton of emails last year for early bird access. Many stores sale starts online before the actual in-store sale. It’s so important to actually know when the sale starts with the store you plan on shopping at. Create a list of all of the stores you plan on shopping at and do some research to when the sale starts online. Since each sale starts at different times/days. Create a reminder on your phone to make sure you don’t miss out on the sale, also this ensures that the items in which you're looking for don't sell out. So many stores are offering great sales. However, not all sale prices are the same. It’s so important to really sit down and price compare. Find out which items you, want, and price compares with several stores. Make sure it's the same exact item. To ensure that you're actually getting the best deal. For instance, if you're looking to purchase an Apple watch, you find the same exact watch at Target and Best Buy for the same exact price. (so you think) However, the watch at Target is a little more expensive, has more "GB" you're also going to get a $50 discount, and 5% off for using your red card. You have to really break down "what's a good price". If you’re signed up for your favorite store's email and mailing list. You should be receiving coupon code offers. If you haven’t received these offers yet. No worries. Some stores will send the codes the same day as the sale. You can always do a quick google search to see if you come across any valid coupon codes. I've saved a ton by just doing a quick Google search and signing up for my favorite store email list. Do you have any Black Friday online shopping tips? So many of the sales have already started, seems like the sales start end of October now. Hope their internet can handle the load, nothing is worse than a site going down. I am all for saving all the money I can when it comes to buying anything! I am going to try all of this for all Black Friday deals I am looking for! I do love to save! I usually try to shop the sale online as soon as it comes up. Sometimes it means I have to wake up in the dead of night, but that's okay! These fabulous shopping tips come at the perfect time! I'm getting ready to work my way through my holiday list, and I want to find the best buys possible. I am all about comparing prices whenever I shop online but especially during the holidays. I love saving as much of my holiday dollars as I can. These tips are great, but I started skipping these deals years ago....too much trouble. These are some awesome tips. It is amazing the bargains you can find if you get your hunt started right! I can't believe it's that time of year again. These are good reminders to make sure you're getting the best deals out there. Great tips! Reminds me that I need to go make sure I'm subscribed to the right emails! I needed these tips! I always spend WAAAAY too much money on Black Friday. I can't help it. I'm a sucker for those sales! Honestly I feel late to the online shopping party. It kinda stresses me more than old fashioned store shopping. But these tips are great! THese are great tips. You can score big on Black Friday but you have to be smart about it. I need to get more organized with my holiday shopping list! 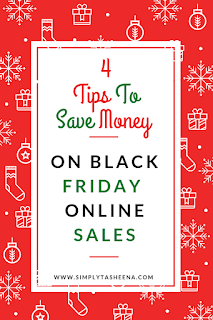 I am all about saving on black Friday sales, that is the best way to get all that is on my list for my kids. Coupon codes are indeed the best to save some buck plus of course, making sure we do the price comparison as well. These are great shopping tips and I think this is a good reminders for me to make a list of items that I need to buy for this holiday season. Babushka loves the morning wait in line, find it exciting, but lately shopping from home seems like a better idea. Great tips. I admire those that have mastered the art of couponing and Black Friday sales. I tried for a Black Friday item once and they sold the last one to the person in front of me. I was pretty discouraged after spending all the time in line.